The malaria parasite Plasmodium falciparum produces chemical compounds called terpenes that give off odors that attract mosquitoes, according to new research. The study, published on March 24, 2015 in mBio®, the online open-access journal of the American Society for Microbiology, might explain why the insects are more likely to bite humans or animals already infected with the parasite. The work could lead to new diagnostic tests for malaria, said senior study author Audrey R. Odom, M.D., Ph.D., an Assistant Professor of Pediatrics and of Molecular Microbiology at Washington University School of Medicine in St. Louis. "We hope these kinds of parasite-produced compounds are the sort of thing that you might be able to find in the breath or sweat of children with malaria," Dr. Odom said. "We have studies ongoing to see if we can detect these compounds in children with malaria, because obviously a breathalyzer test would be a lot nicer than the blood-based tests that are currently used." 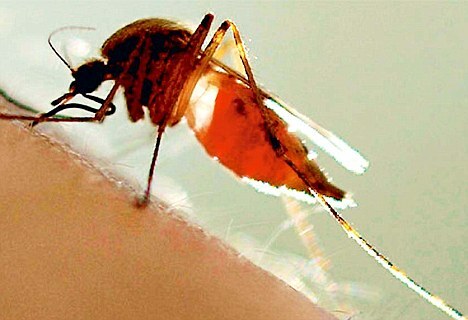 The finding also holds implications for malaria control, she said: "Understanding the molecular basis of mosquito attraction and host choice is important for figuring out how you might prevent people from getting bitten in the first place." Dr. Odom and colleagues have been studying malaria parasite cultures in human red blood cells, grown in airtight bags. For the current study, the researchers sampled the gas on top of the liquid culture in the bags and used a laboratory technique called gas chromatography-mass spectrometry to analyze the chemical components of the gas. They compared gas samples from bags containing malaria-infected red blood cells to gas samples taken from bags containing uninfected red blood cells and from empty bags. Scientists have known for some time that people who carry a lot of weight around their bellies are more likely to develop diabetes and heart disease than those who have bigger hips and thighs. But what hasn't been clear is why fat accumulates in different places to produce these classic "apple" and "pear" shapes. Now, researchers have discovered that a gene called Plexin D1 (image of the Plexin D1 protein) appears to control both where fat is stored and how fat cells are shaped, known factors in health and the risk of future disease. Acting on a pattern that emerged in an earlier study (February 2015) of waist-to-hip ratios in 224,000 people, the new study, which was published online on March 23, 2015 in PNAS, found that zebrafish that were missing the Plexin D1 gene had less abdominal or visceral fat, the kind that lends some humans a characteristic apple shape. The researchers also showed that these mutant zebrafish were protected from insulin resistance, a precursor of diabetes, even after eating a high-fat diet. The PNAS article is titled “Plexin D1 Determines Body Fat Distribution by Regulating the Type V Collagen Microenvironment in Visceral Adipose Tissue.” "This work identifies a new molecular pathway that determines how fat is stored in the body, and, as a result, affects overall metabolic health," said John F. Rawls, Ph.D., senior author of the study and Associate Professor of Molecular Genetics and Microbiology at Duke University School of Medicine. "Moving forward, the components of that pathway can become potential targets to address the dangers associated with visceral fat accumulation." Deadly familial stomach and lobular breast cancers might be successfully treated at their earliest stages, or even prevented, by existing drugs that have been newly identified by cancer genetics researchers at New Zealand's University of Otago. The researchers, led by Professor Parry Guilford, show, for the first time, that the key genetic mutation underlying the devastating conditions also opens them to attack through drug therapies targeting other cellular mechanisms. There is currently no treatment for this kind of gastric cancer other than surgical removal of the stomach as a preventive measure in those identified as carrying the mutated gene. Lobular breast cancer is hard to detect by mammography and mastectomies are also undertaken by some carriers. The researchers' new findings were published online on March 16, 2015 in Molecular Cancer Therapeutics. The team used genomic screening to search for vulnerabilities in the cancer cells that lack the tumor-suppressor protein E-cadherin. The genetic mutation that causes this protein to be lost is common in hereditary diffuse gastric and lobular breast cancers. E-cadherin is not a traditional drug target for these forms of cancer because the protein is present in healthy cells, but absent in malignant ones. However, Professor Guilford and his team predicted that its loss might create other vulnerabilities in these cancer cells. Professor Guilford says the research team used an approach of searching for “synthetically lethal” combinations of E-cadherin loss with inactivation of other proteins, which together cause cell death. After conducting a genome-wide functional screening of non-malignant human breast cells with, and without, E-cadherin loss, they identified a large number of such vulnerabilities that can be targeted by existing drug compounds. A surgical sedative may hold the key to reversing the devastating symptoms of Rett syndrome, a neurodevelopmental disorder found almost exclusively in females. Ketamine, used primarily for operative procedures, has shown such promise in mouse models that Case Western Reserve and Cleveland Clinic researchers will soon launch a two-year clinical trial using low doses of the medication in up to 35 individuals with Rett syndrome. A recently allocated $1.3 million grant from the Rett Syndrome Research Trust (RSRT) represents a landmark step in area researchers' efforts to create a true regional collaboration that capitalizes on the diverse expertise of scientists and clinicians all dedicated to improving the lives of individuals struck with this and other autism spectrum disorders (ASDs). Dr. David Katz, a neuroscientist at Case Western Reserve, and Thomas Frazier II, Ph.D., Director of the Cleveland Clinic Center for Autism, led creation of a Northeast Ohio consortium three years ago to encourage research partnerships among basic scientists and clinicians. Cleveland Clinic, University Hospitals, and Case Western Reserve each contributed seed funding; the consortium also is affiliated with the university's International Center for Autism Research and Education. Rett syndrome, which occurs in roughly 1 of every 10,000 female births, leads to a constellation of symptoms mirroring those of autism, Parkinson's disease, cerebral palsy, and anxiety disorders. Its presence does not manifest itself until after birth; symptoms often do not begin to appear until the child reaches six months of age. Development slows, communication skills decline, and motor skills are also affected. The rate of growth of the head decreases, and seizures and/or disruptions in breathing patterns are common. Microbes may just be the next diet craze. Researchers have programmed bacteria to generate a molecule that, through normal metabolism, becomes a hunger-suppressing lipid. Mice that drank water laced with the programmed bacteria ate less, had lower body fat, and staved off diabetes, even when fed a high-fat diet, offering a potential weight-loss strategy for humans. The team will describe its approach in one of nearly 11,000 presentations being given at the 249th National Meeting & Exposition of the American Chemical Society (ACS), the world's largest scientific society, taking place in Denver from March 22, 2015 through March 26, 2015. Obesity strongly increases the risk for developing several diseases and conditions, such as heart disease, stroke, type 2 diabetes, and some types of cancer. One in three Americans is obese, and efforts to stem the epidemic have largely failed. Lifestyle changes and medication typically achieve only modest weight loss, and most people regain the weight. In recent years, numerous studies have shown that the population of microbes living in the gut may be a key factor in determining the risk for obesity and related diseases, suggesting that strategically altering the gut microbiome may impact human health. One advantage to microbial medicine would be that it is low maintenance, says Sean Davies (photo), Ph.D. His goal is to produce therapeutic bacteria that live in the gut for six months or a year, providing sustained drug delivery. This is in contrast to weight-loss drugs that typically need to be taken at least daily, and people tend not to take their medications as directed over time. "So we need strategies that deliver the drug without requiring the patient to remember to take his/her pills every few hours," Dr. Davies says. Scientists will report in a presentation on March 22, 2015 that they have turned to the opossum to develop a promising new and inexpensive antidote for poisonous snake bites. They predict it could save thousands of lives worldwide without the side effects of current treatments. The presentation will be given in Denver at the 249th National Meeting & Exposition of the American Chemical Society (ACS), the world's largest scientific society. The meeting features nearly 11,000 reports on new advances in science and other topics. It is being held through Thursday, March 26, 2015. Worldwide, an estimated 421,000 cases of poisonous snake bites and 20,000 deaths from these bites occur yearly, according to the International Society on Toxicology. Intriguingly, opossums shrug off snake bite venom with no ill effects. Claire F. Komives, Ph.D., who is at San Jose State University, explains that initial studies showing the opossum's immunity to snake venom were done in the 1940s. In the early 1990s, a group of researchers identified a serum protein from the opossum that was able to neutralize snake venoms. One researcher, B. V. Lipps, Ph.D., found that a smaller chain of amino acids from the opossum protein, called a peptide, was also able to neutralize the venom. But Dr. Komives says it appears that no one has followed up on those earkier studies to develop an antivenom therapy -- at least not until she and her team came along. Armed with the existing information, they had the peptide chemically synthesized. When they tested it in venom-exposed mice, they found that it protected them from the poisonous effects of bites from U.S. Western Diamondback rattlesnakes and Russell's Viper venom from Pakistan. A particular cancer drug can be made 50 times more effective by a chemical found in stinging nettles and ants, new research finds. Researchers at the University of Warwick found that when the chemical, sodium formate, is used in combination with a metal-based cancer treatment, it can greatly increase that treatment’s ability to shut down cancer cells. The research was published online on March 20, 2015 in an open-access article in Nature Communications. The article is titled “Transfer Hydrogenation Catalysis in Cells As a New Approach to Anticancer Drug Design.” Developed by Warwick's Department of Chemistry, the cancer drug, a compound of the metal ruthenium called JS07, is capable of exploiting a cancer cell's natural weaknesses and disrupts its energy generation mechanism. Laboratory tests on ovarian cancer cells have shown that, when used in combination with sodium formate, JS07 is 50 times more effective than when acting alone. Derived from formic acid which is commonly found in a number of natural organisms including nettles and ants, sodium formate (E-237) is more commonly used as a food preservative. The Warwick researchers developed a novel method for binding sodium formate with JS07 to form a more potent form of the drug. The researchers subsequently found that the potent form of JS07 acts as a catalyst when it interacts with a cancer cell's energy-generating mechanism. This interaction disrupts the mechanism, causing the cancer cell's vital processes to cease functioning and for the cell to shut down. Lead-researcher Professor Peter Sadler explains. "Cancer cells require a complex balance of processes to survive. When this balance is disrupted, the cell is unable to function due to a range of process failures and eventually shuts down. Type 2 diabetes reduces people's employment chances and wages around the world, according to the results of a new study from the University of East Anglia, supported by the Centre for Diet and Activity Research (CEDAR). In an effort that is detailed in an online open-access article at the link provided below, researchers studied the economic impact of type II diabetes worldwide. [Note that a video description of the research is also provided at a link provided below.] The scientists were surprised to find not only a large cost burden in high-income countries, but also in low and middle-income countries, where people with type 2 diabetes and their families face high costs for treatment. While it is widely known that type 2 diabetes poses a huge health challenge, awareness of its impact on the global economy and labor markets has never before been studied in such detail. The research team looked at data from 109 studies in the largest and most up-to-date global review of the economic impact of type 2 diabetes. Headline figures include the following: people with type 2 diabetes in the US have the highest healthcare costs, with an estimated lifetime cost of approximately $283,000. These costs are higher than those in others countries with comparable per capita income levels; worldwide, type 2 diabetes hits the poor the hardest, with a higher cost burden for people in low- and middle-income countries; two thirds of all new cases of type 2 diabetes are now in low- and middle-income countries such as China, India, Mexico, and Egypt; men with type 2 diabetes have worse employment opportunities globally. The impact for women appears to be less adverse, except for in the US, where their employment chances decreased by almost half; and the costs associated with type 2 diabetes increase over time with increasing disease severity. As one of the first research Institutes to take part in the MinION Access Programme (MAP) for portable DNA sequencing, introduced by Oxford Nanopore Technologies, The Genome Analysis Centre (TGAC)'s task force in the UK has shared its experience of the ground-breaking trial so far. One of the first research Institutes to be part of MAP, TGAC plans to use the miniaturized sequencing device to conduct live environmental surveillance; rather than gathering samples to take back to the laboratory, enabling the researchers to deliver real-time experimental genetic data for immediate analysis. The team of scientists from TGAC's Data Infrastructure and Algorithms and Plant and Microbial Genomics groups trialed the miniaturized sensing system by sequencing environmental samples, containing DNA from hundreds or thousands of different organisms. The team experimented first with a mock community, where they used a simple set of DNA samples from twenty bacteria, created for the Human Microbiome Project. Having developed their experimental and data methods, they then tested real environmental samples sequencing them on the MinION and Illumina platforms for comparison. Their aim was to sequence the microscopic biological molecules in the air around us - bacteria, spores, and viruses. Many key crop diseases spread via the air as spores, as well as some animal and human diseases. Analyzing such samples triggers technical issues, where there are very low levels of biological material present when sequencing DNA from air. Although the scientists faced challenges working with complex metagenomic material (DNA from multiple sources) recovered directly from environment samples in live-time, the introduction of the MinION as a potential portable laboratory made a major impact to the research's goal. Penn Medicine researchers have discovered that hypermethylation - the epigenetic ability to turn down or turn off a bad gene implicated in 10 to 30 percent of patients with Amyotrophic Lateral Sclerosis (ALS) and Frontotemporal Degeneration (FTD) - serves as a protective barrier inhibiting the development of these diseases. Their work, published online on March 20, 2015 in Neurology, may suggest a neuroprotective target for drug discovery efforts. "This is the first epigenetic modification of a gene that seems to be protective against neuronal disease," says lead author Corey McMillan, Ph.D., Research Assistant Professor of Neurology in the Frontotemporal Degeneration Center in the Perelman School of Medicine at the University of Pennsylvania. 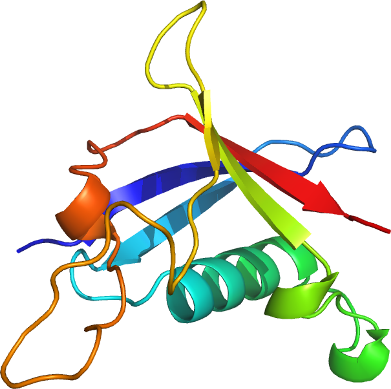 Expansions in the offending gene, C9orf72 (chromosome 9, open reading frame 72), have been linked with TAR DNA binding protein (TDP-43) which is the pathological source that causes ALS and FTD. "Understanding the role of C9orf72 has the possibility to be truly translational and improve the lives of patients suffering from these devastating diseases," says senior author, Edward Lee, M.D., Ph.D., Assistant Professor of Neuropathology in Pathology and Laboratory Medicine at Penn. Dr. McMillan and team evaluated 20 patients recruited from both the FTD Center and the ALS Center at the University of Pennsylvania who screened positive for a mutation in the C9orf72 gene and were clinically diagnosed with FTD or ALS. All patients completed a neuroimaging study, a blood test to evaluate C9orf72 methylation levels, and a brief neuropsychological screening assessment. The study also included 25 heathy controls with no history of neurological or psychiatric disease.